A long-time Niagara Falls urologist has been appointed Chief of Surgery at Niagara Health. Dr. Ian Brown, a Urologist with Niagara Health since 1996, will assume the role effective Sept. 1, replacing Dr. Jeff Cranford, who is completing his second term in the position. The selection of Dr. Brown followed a national search that featured a group of highly skilled candidates. "We are extremely fortunate to have a physician of Dr. Brown’s calibre in this leadership role," says Dr. Johan Viljoen, Niagara Health’s Interim Chief of Staff. "Dr. Brown is a well-known and respected physician in Niagara, with extensive clinical leadership experience. His appointment is a reflection of the accomplished and committed team of physicians at Niagara Health." Dr. Brown, who practised for nearly 20 years in Niagara Falls before moving his practice to Thorold a few years ago, was Niagara Health's Urology Lead from 2006-13. 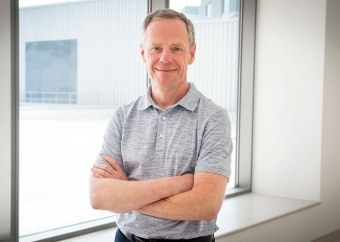 He has been the Physician Lead of Niagara Health’s Prostate Diagnostic Assessment Clinic since it opened in 2014 and is an Adjunct Professor with the Niagara Regional Campus of McMaster University’s Michael G. DeGroote School of Medicine. He is also actively involved in the community, serving as Vice Chair of the YMCA of Niagara Board of Directors and as a Board Member with the Branscombe Family Foundation. "I am looking forward to working with our talented and dedicated surgical team in this new role," says Dr. Brown. "The surgical program has taken many positive steps in the ever-evolving process of improving patient care at Niagara Health, and I am thrilled to be joining the surgery department in my new administrative role. The opportunity to be part of building on the hard work that has already been done at Niagara Health is exciting." Dr. Viljoen praised Dr. Cranford for his years of leadership and commitment to providing extraordinary care. "We are extremely grateful to Dr. Cranford for his strong and steady leadership and for his vision in helping to chart a new path forward for our surgical program. His impact is immense and has resulted in enhanced care for our patients," says Dr. Viljoen. Among his many achievements as Chief of Surgery, Dr. Cranford helped to lead the clinical services planning initiative for the Regional Surgery Program for the opening of our St. Catharines Site in 2014, was instrumental in establishing the Regional Ophthalmology Program at our Welland Site and supported his teams as they introduced new and innovative procedures such as Endovascular Aneurysm Repair and Anterior Approach Hip surgeries.